One of the frustrating but exciting things when finding Hechtia species in habitat is the subsequent search for a name. 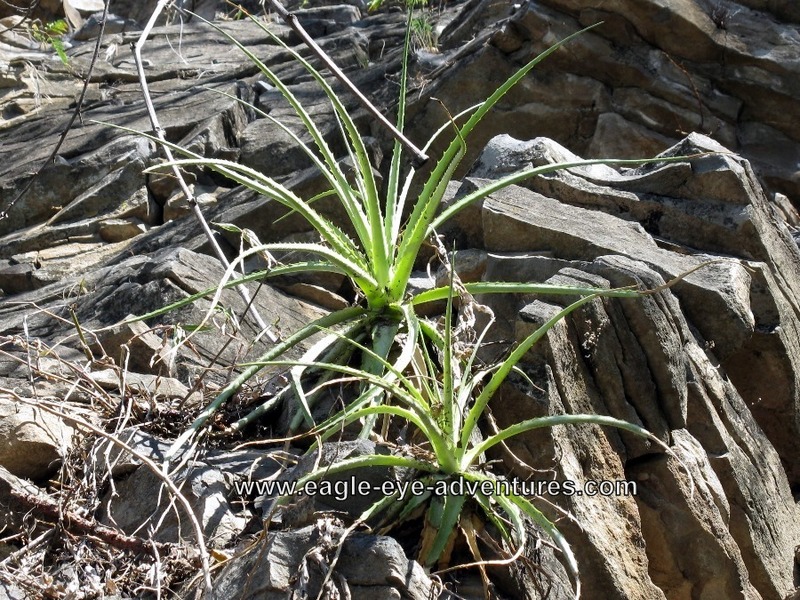 This nice spidery species is from the municipality of Gabriel Zamora, Michoacan. 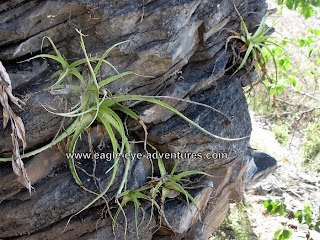 I was only able to see them on one isolated rock outcropping, but there are likely many others sprinkled in the hot fruit growing region. As of yet I have not been able to find a published name that matches this plant. A bit of a mystery, this is a relatively dainty species. Likely related to other species (posts to come) along the Pacific coast, this is significantly smaller. It produces a terminal inflorescence and somewhat unusual for the genus, it doesn't seem to change color when put under stress from heat or lack of water. Every single plant was a nice and clean emerald green without a single 'blood spot'. 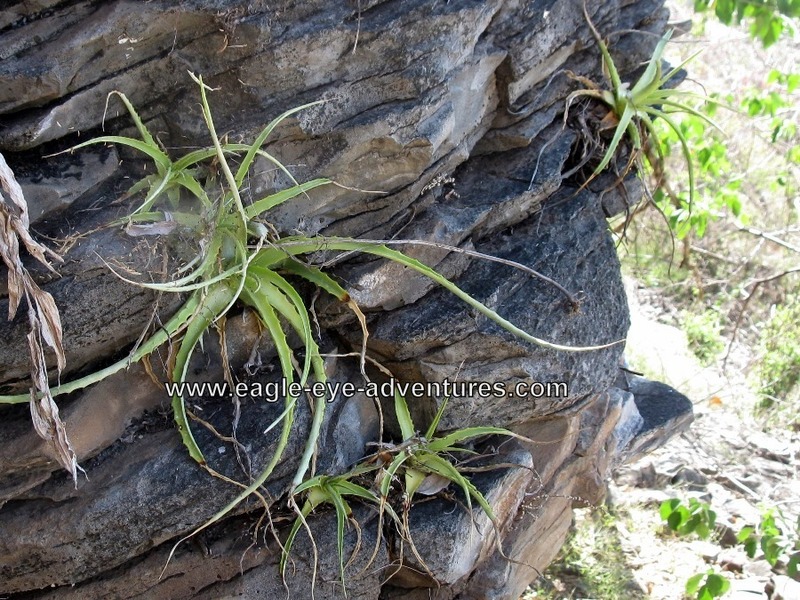 Not many other bromeliad species were growing in the local vicinity other than a notable form of Tillandsia capitata. **Update: this seems to match very closely the species, Hechtia laxissima, although a fair bit smaller.